Doon is a fun word to say. Doon Doon Doon Doon. I’ve been reading about Bonny Doon Vineyards on Good Wine Under $20 for years. 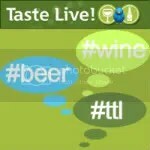 Somehow, I just had never gotten around to tasting anything from them previously. 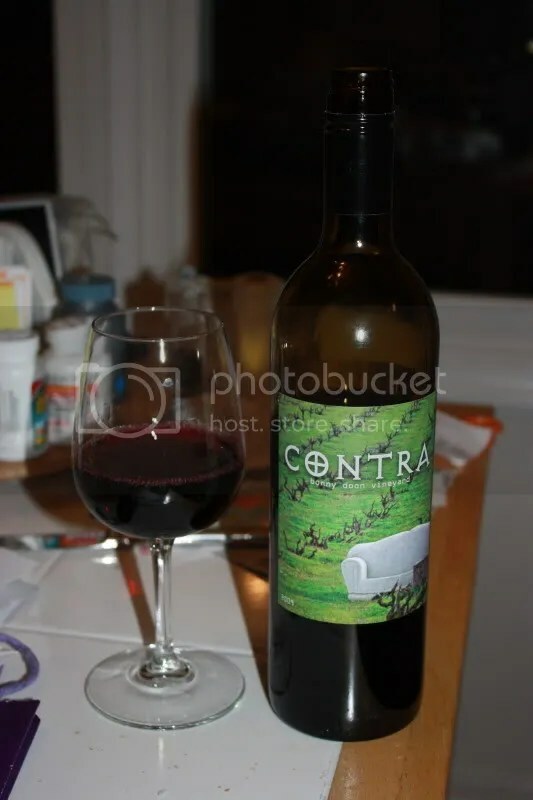 That has been remedied now, when this 2009 Bonny Doon Contra showed up on my doorstep. The (very precise) blend that makes up the Contra is: 55.1% Carignane, 15.4% Grenache, 14.3% Mourvèdre, 7.1% Petite Sirah, 5.3% Zinfandel, 2.8% Syrah. You don’t run into too many wines that are Carginane heavy. I can only think of perhaps 2 others that I’ve come across over the years. 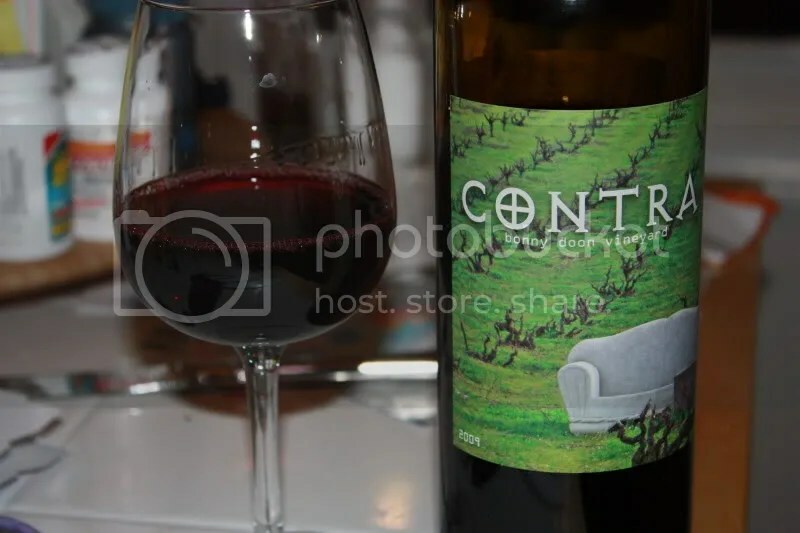 The Contra has a screw cap, clocks in at 13.5% alcohol by volume, and retails for $14. On the nose I got raspberry, blackberry, chocolate notes, spice, pepper, anise, dusty cocoa powder, and a flowery perfume. An intriguing nose, it seemed like elements of almost each of the grapes in the blend contributed to the aroma. In the mouth it was almost all black cherry for me. I got so focused on the fresh black cherry flavors that it took me quite some time to move on and examine the other flavors. Beyond black cherry I found spice, vanilla, blackberry, and licorice. Tannins and acidity lend a good backbone to the very juicy palate of the Contra.